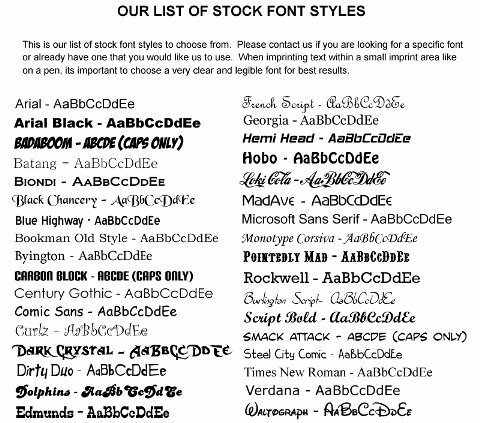 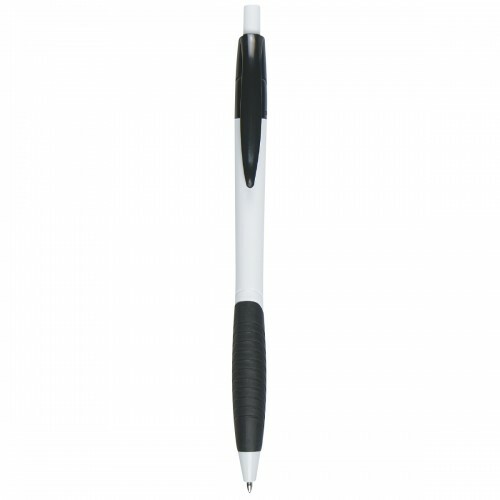 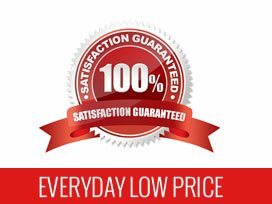 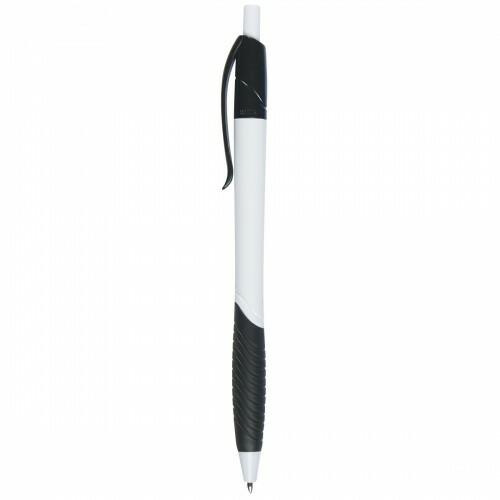 Advertise your business or event on any budget with a custom click pen. 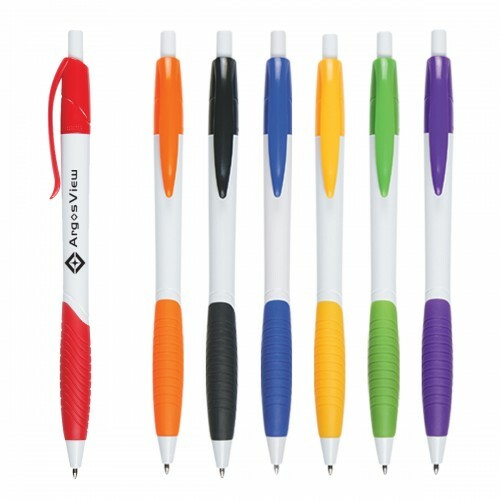 Featuring a White barrel with Black, Blue, Lime Green, Orange, Purple, Red or Yellow trim and matching grip, the Jada promotional pen is perfect for new and old business alike. The rubberized grip gives the user a comfortable hold for better writing control. 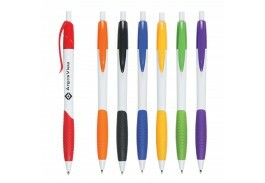 Colors: White with Black, Blue, Lime Green, Orange, Purple, Red or Yellow Trim.